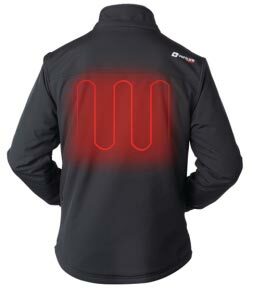 Glenrothes-based Surface Heating Systems (SHS), which manufactures, supplies and installs a range of specialist electric heating systems for the construction, petrochemical and communications industries, has launched its range of heated clothing. The clothing, which includes weather resistant jackets, fleece vests and hoodies for men and women, are powered by either a rechargeable USB power bank or via a rechargeable Lithium Ion battery pack and can last for up to eight hours. Mick Cummings, Director of SHS, said: “I original saw the heated clothing as a means of keeping our guys comfortable while working in cold environments, plus it has the added bonus of reducing our heating bill. The majority of SHS’s products are exported around the world. It has recently installed electric heating systems for nine-meter satellite dishes in the USA, Japan and Alaska, with another two under production going to China.